MarketScale is serving some of the world’s leading B2B manufacturers, tech companies, service providers and software companies with content marketing, data, analytics and strategy. The cutting edge of B2B architecture, engineering, & construction. Tune in to hear industry professionals cover everything from LEED certification to BIM. And maybe a laugh or two. This is the Building Management podcast, by MarketScale. Here, we dive into the latest trends and news that revolutionizes the way Facility Managers and Building Operation Managers adapt to accommodate to the needs of those they serve! Tune in for interviews with trend-setting thought leaders who provide compelling insights into the ... See More future of Building Management. Welcome to the Education Technology podcast, by MarketScale, where we dive into the technology that is revolutionizing the education industry. Tune in for interviews with educators, startups, and thought leaders provide compelling insights into the future of EdTech. This is the Energy podcast, by MarketScale. Here, we dive into the latest trends and news that revolutionizes the way energy providers and innovators adapt to accommodate to the needs of those they serve! Tune in for interviews with trend-setting thought leaders who provide compelling insights into the future of oil, wind, solar, hydro, ... See More and nuclear energy, and everything in between. Welcome to the Food & Beverage podcast, by MarketScale: Your home for everything B2B in the Food and Beverage Industry! Join us for new episodes every week featuring conversations with industry leaders as we explore trends in restaurant technology, management, and all things F&B. This is the Hospitality podcast, by MarketScale. Here, we dive into the latest B2B trends and news from hotels, to tourism, to event planning, and so much more. Tune in for interviews with trend-setting thought leaders who provide compelling insights into the future of the Hospitality industry! Welcome to the Industrial IoT podcast, by MarketScale: Your home for everything B2B in the Industrial IoT world. Join us for new episodes every week featuring conversations with industry leaders as we explore trends in technology, use-cases & applications, hurdles, and all things IoT. Welcome to the Pro AV podcast, by MarketScale: Your home for everything B2B in Professional Audio Visual! Join us for new episodes every week featuring conversations with industry leaders as we unpack the latest in everything from LED to Digital Content. Welcome to the Retail podcast, by MarketScale: Your home for everything B2B in the Retail Industry! Join us for new episodes every week featuring conversations with industry leaders as we explore trends in technology, management, brick & mortar, digital innovations and all things Retail. This is the Sciences podcast, by MarketScale. Here, we dive into the latest trends and news that revolutionizes the way scientists, aerospace professionals, chemical distributors, physicists and everyone in between adapt to new technology and industry insight! Tune in for interviews with trend-setting thought leaders who provide ... See More compelling insights into the future of the sciences. Welcome to the Software & Technology podcast, by MarketScale: Your home for everything B2B in the Software & Technology Industry! Join us for new episodes every week featuring conversations with industry leaders as we explore trends in cryptocurrency, AI, IPs, innovative cross-industry tech, and everything in between. 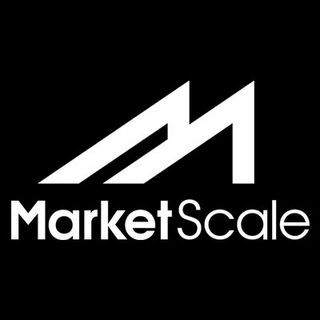 Welcome to the Sports & Entertainment podcast, by MarketScale: Your home for everything B2B in the Sports & Entertainment Industry! Join us for new episodes every week featuring conversations with industry leaders as we explore trends in innovative technology, management, cultural shifts, and everything in-between. This is Wildfire, the B2B Under-30 Podcast, on MarketScale. Here, B2B's youngest stars share the ideas, concepts and innovations that are catching fire in the fastest growing markets.